Lancet study including Oxford Health researcher finds that care from people with experience of mental health conditions may help readmissions. A new study published in The Lancet finds that compared to a workbook, people who had support from those with first-hand experience of mental health problems themselves were less likely to be readmitted to acute care a year later. The randomised controlled trial of more than 400 people suggests that care from peer support workers with ‘lived’ experience of mental health conditions may help reduce the likelihood of readmission for people who have recently left acute mental health care. More than half the people admitted to acute care in the UK are readmitted within a year, and there is no robust evidence on how these readmissions can be reduced: this study is the first randomised trial to evaluate the effectiveness of this kind of intervention. The first cohort of Oxford Health’s peer support workers are now completing training, and will be providing support to those that we care for. Dr Kathleen Kelly, consultant psychiatrist with Oxford Health’s emergency department psychiatric service, was a major contributor to the research and she said: “Our study demonstrates the potential effectiveness of peer-delivered self-management in reducing readmission to acute care. This is encouraging, given that Oxford Health is integrating peer support workers into mental health teams. Will Gibson, Peer Support Coordinator for Oxfordshire said: “Everybody’s experience of poor mental health is different and each person brings with them their own unique insights and knowledge. Peer Support recognises the potential value of these experiences. 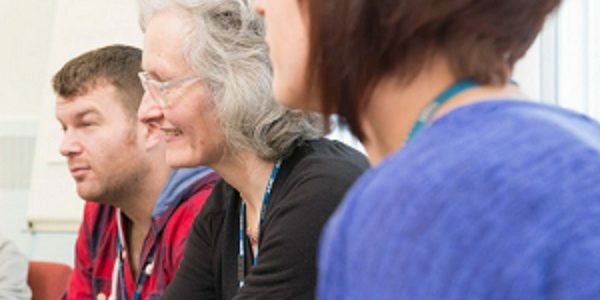 “Our mental health teams aim to work in a ‘recovery-focussed’ way. This means viewing a person as a whole, and starting with what’s strong, not with what’s wrong. “There’s increasing evidence that employing people who have experienced mental health problems to support others, alongside clinicians, encourages this way of thinking and working.